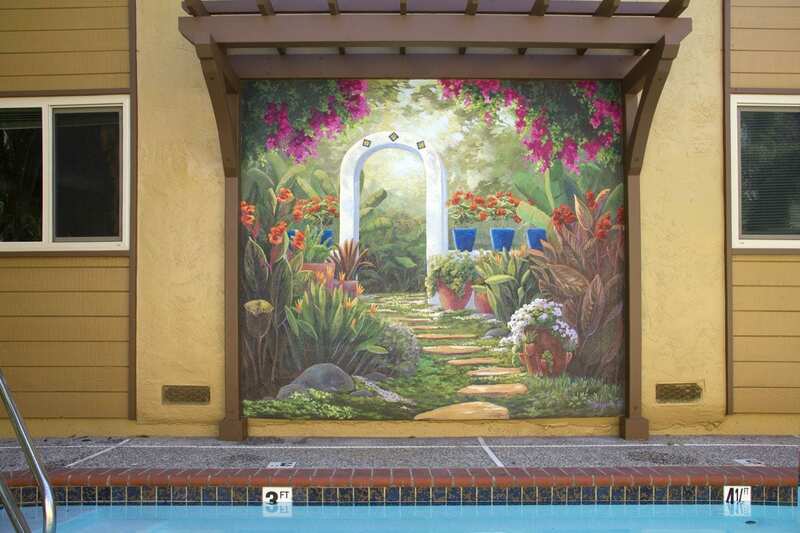 The owner of an apratment building hired me to paint this mural to add depth to a wall that runs closely along the side of the pool. 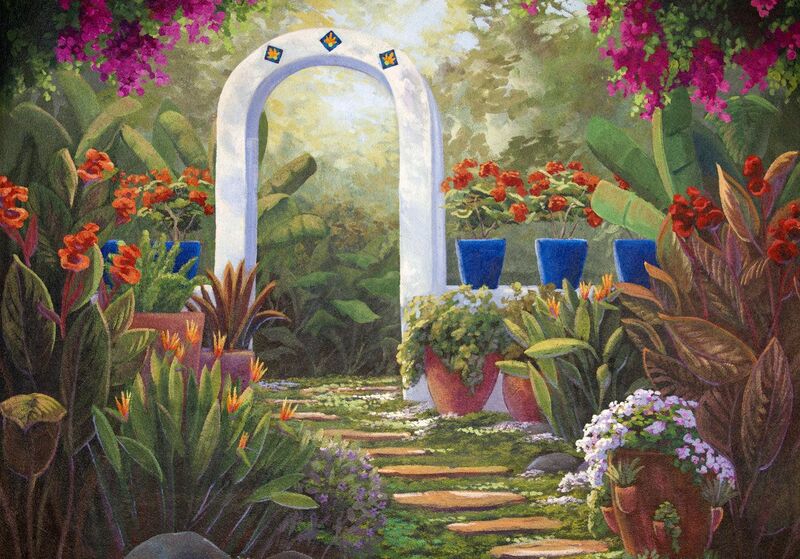 The owner had brightly colored talavera pottery from Mexico around the rest of the pool area, so we chose colors that would match their vibrancy. 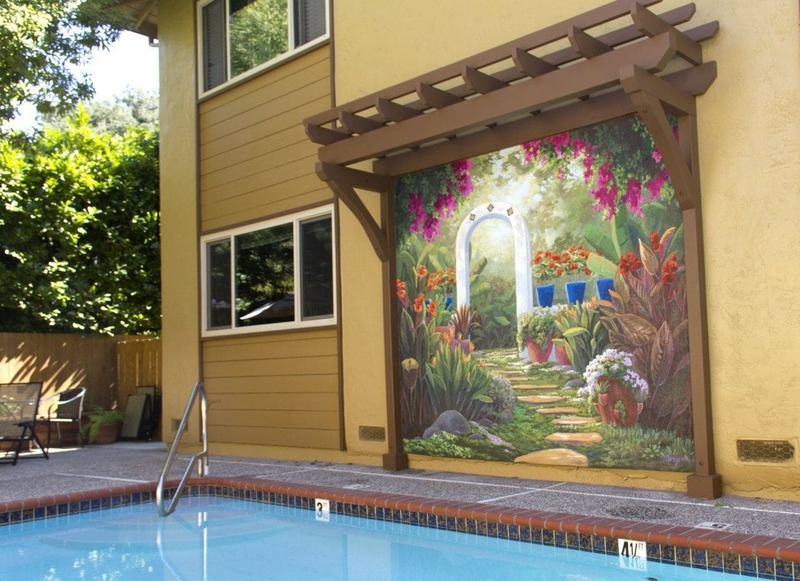 The path lends a depth to the painting to offset the narrowness of the pool deck.